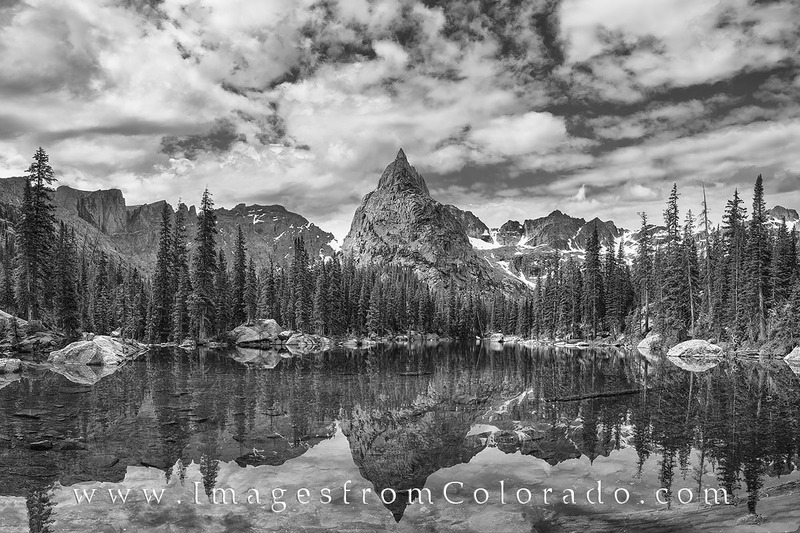 This black and white image of Lone Eagle Peak was taken on a perfect summer afternoon as clouds drifted across the Indian Peaks Wilderness in Grand County. The trek to reach Mirror Lake (seen in the foreground) was 16 miles round trip and followed the Cascade Trail for a majority of the route. With miles of waterfalls, cascades, and wildflowers, the trail was beautiful. I’ll admit I was pretty tired the next day, though! This black and white image is available in larger and custom sizes.